The Chinese New Year, also called the Spring Festival or Chunjie, is the biggest holiday of the year in Beijing. It is a prime time to visit and experience the local culture. 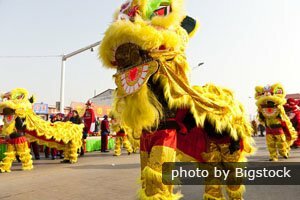 This article gives you some insight into what Beijingers do for the festival, travel information, and places and events where you can celebrate Chinese New Year in Beijing. Most Beijing residents will try to be home on Chinese New Year&apos;s Eve. They especially want to make the traditional New Year&apos;s Eve family dinner. 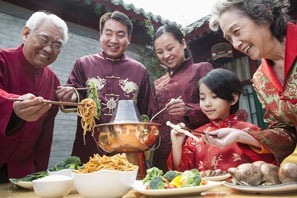 If you have Chinese friends (or family) you might be lucky enough to be invited to a reunion dinner. 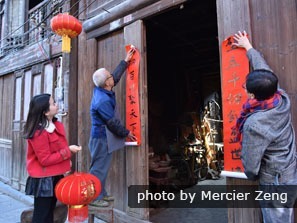 Red couplets are put up for Chinese New Year. On that day, people clean the house and don their finest outfits in the spirit of the New Year. People put up red decorations and even red cloths. The red decorations symbolize wishes for good fortune, prosperity, and well being in the coming year. On the evening of New Year&apos;s Eve, families tune in to watch the on CCTV. With over 700 million viewers yearly, it boasts the largest audience of any TV show in the world. The best musicians, dancers, and acrobats perform on stage. After the dinner feast, people go out to play with fireworks and watch the fireworks exploding all over the city. The noise is thought to scare away evil spirits. Recently, the government has been trying to discourage firecrackers and especially rockets and exploding shells, but it is still legal for people to use them. However, there are no state sponsored firework displays such the massive 2019 Chinese New Year Fireworks display in Hong Kong. After the fireworks, it is traditional in Beijing and other northern cities to eat dumplings, called jiaozi, to signify prosperity. 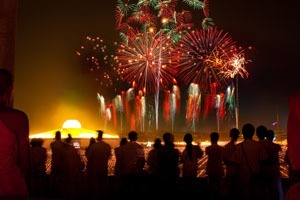 Why Chinese New Year and Firecrackers? Giving Hongbao as gifts is customary. As the week goes on, Chinese people visit relatives and friends, starting with the closest and moving on to more distant relatives and friends. It is customary to bring gifts in the form of food, sweets, alcohol, or hongbao (red envelopes with money). Meanwhile, both young and old continue to set off their fireworks and light rockets. These will continue to explode over the buildings for the 15 days of the Spring Festival until the the Lantern Festival (so be careful if you happen to be walking around on the street!). People also go out to the temple fairs. They are places to go to taste the local flavor in the way of food, art, music, games, and people. Many people go to a local temple&apos;s temple fair during the Spring Festival. Temple fairs are shops and temporary kiosks where people sell gifts, festival foods, and snacks. There is ritual praying, entertainment and shopping. Lion dances are popular during Chinese New Year. For foreigners, visiting a temple fair is definitely a cultural experience. You may enjoy the reenactment of the ceremony of worship to Earth and Heaven. 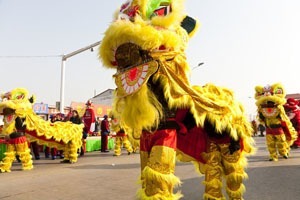 Folk performances like dragon dances and lion dances, the demonstration of traditional arts and crafts, and fun games are all part and parcel of temple fairs. 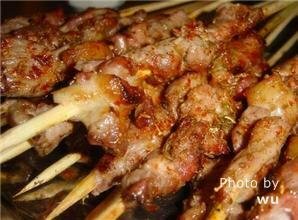 You can also taste numerous Chinese New Year foods such as snacks, gourmet court dishes and delicacies. 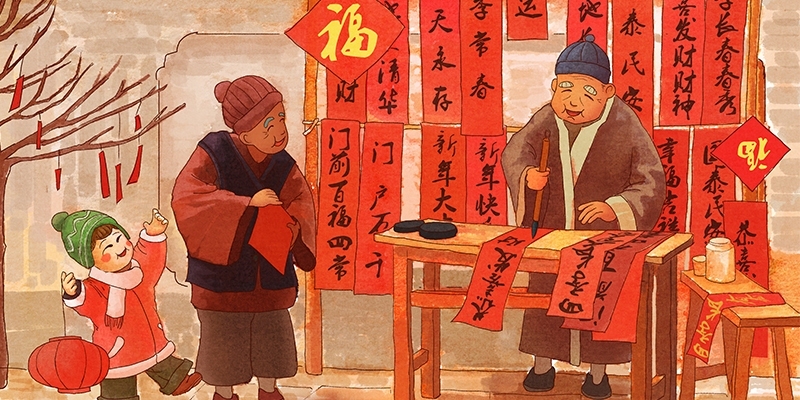 We have lots more for you to read on Beijing&apos;s Temple Fairs. 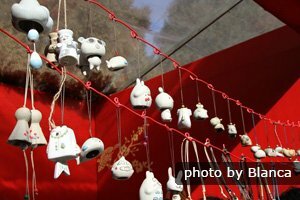 The Longtan fair is one of the most popular of its kind in Beijing. It is mainly a sporting event with crowd participation. It doesn&apos;t take place in or around a temple. It is held in a park. There are athletic competitions and demonstrations to both watch and take part in. Martial arts champions demonstrate their skills, and crowd members are encouraged to take part in various competitions such as table tennis, diabolo (Chinese Yoyo) spinning, arm-wrestling, chess, and rock-climbing. Snacks abound. Getting there: Take subway Line 5 to Tiantandongmen Station. 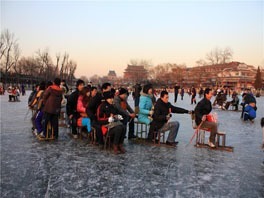 Beijing people do more than celebrate at temple fairs, there are also athletic competitions and winter fairs. Dance routines, ice football, operas, and other events will recreate the feel of the late Qing Dynasty (1644–1911). 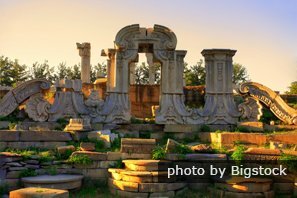 In the 1800s, the old Summer Palace was a particularly busy Spring Festival venue. Getting there: Take subway Line 4 to Yuanmingyuan Station. This fair puts an international spin on things with flavors from around the world. Go to see international bands, dance troupes, customs, cuisine, and more. This festival is particularly popular with the Western crowd, as there is sure to be a reminder of home. Getting there: Take subway line 10 to Tuanjiehu station, then go east. The South Gate will be on the left. The Longqing Gorge Ice and Snow Festival is about 50 miles outside central Beijing. In 2019, Longqing Gorge Ice and Snow Festival is to be arranged. 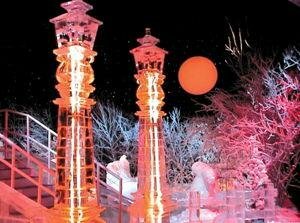 There are ice sculptures like those in Harbin. It’s a great day/overnight trip, especially if you can’t make it out to Harbin Ice and Snow World. Why not celebrate atop China&apos;s own world wonder? The Brickyard, at the Mutianyu section of the Great Wall, offers the total package throughout the year. You may get the Great Wall to yourself at Chinese New Year. Book one of their luxury rooms for the night, and leave the rest to them. This is also likely to be one of the quieter options for Chinese New Year. You can hike the wall during the day and then warm up with a traditional hotpot dinner, which is said to bring good luck. They also have a dumpling-making workshop preceding a massive fireworks show (on top of the great wall, of course) which you&apos;ll get to eat after. 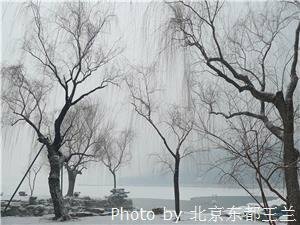 For the true Chunjie experience, visit Houhai Lake, in the center of the city. While other nightlife areas have been built up and modernized, Houhai has kept its traditional charm and beauty. Stop into one of the plethora of bars along the lake and celebrate in local style. You may be able to skate on Houhai (&apos;Back Lake&apos;), near Sanlitun. The most famous bar district is packed full of parties and deals for New Years Eve. This writer recommends visiting The Local, located just off Sanlitun South Street. Janes and Hooch as well as Great Leap Brewing are also popular bars in the neighborhood, the first one serving up cocktails, the second one specializing in craft beer. For a truly spectacular view of the fireworks that will be lighting up the Beijing sky on the eve of Chinese New Year (15th February) visit Atmosphere Bar on the 80th floor of the China World Summit Wing, which looks out over most of the iconic Beijing buildings (i.e. the CCTV headquarters). Reservations are recommended for this night. Chinese New Year traditionally ends after 15 days with the Lantern Festival. Check Chinese New Year Dates. Traveling within China can get really hectic during this time, as most Chinese people travel to visit relatives and friends in addition to foreign tourists. Make sure to book tickets in advance — planes, trains, dinner, events, everything. If you can avoid traveling and avoid the stress of trying to get a ticket (which can also prove to be quite the hassle), do it. If you do travel during peak times, flying is much less stressful than taking the train. 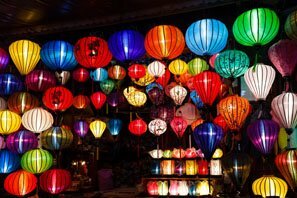 See more about Chinese New Year Travel and Avoiding Stress. Many restaurants are closed or have limited holiday hours, so be sure to call ahead to make sure you will be accommodated. Often Western restaurants and Western-owned bars are more likely to be open (for example in the Sanlitun area). Be aware that the fireworks last all week. While they are exciting, they become less so when they are exploding outside your window around 7 a.m. It&apos;s easy to prepare accordingly (pack earplugs, sleeping pills, etc), but can be really frustrating if it&apos;s not expected. They can also be dangerous on the streets, especially in the hutongs where sight is limited. Chunjie is a time for celebration! If you are planning on visiting people, it’s not a bad idea to bring them gifts, or better yet, a hongbao. You could relax and enjoy touring and travel with our guides and drivers. The Spring Festival is the period of heaviest travel in China. The busiest travel days extend from a few days before the Chinese New Year until about 15 days afterwards. This year, about 3,000,000,000 trips are expected during these holidays! Expect higher prices and crowds, and it would be prudent to have our expert help to plan your tour and help obtain tickets and bookings. During the first two or three days of the holidays, the crowds actually decrease. But after that, the travel rush is on again as the Chinese themselves go out to tour and travel or go back to work or school. Weather: The weather in the middle of February is usually cold but dry. It is often sunny, but it might be dusty as well. Expect much smog and smoke especially in the evenings from fireworks. 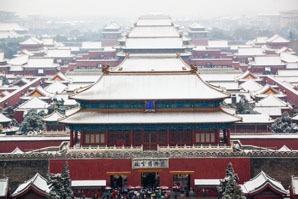 The Forbidden City may have snow on at Chinese New Year. Let us know when you&apos;re coming, and what you want to do. 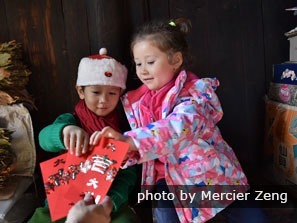 This way, we can schedule in some of these Chinese New Year activities. 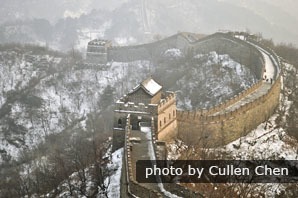 We can create your own Chinese New Year tour to visit the places you want in and around Beijing. All our tour plans can be customized. 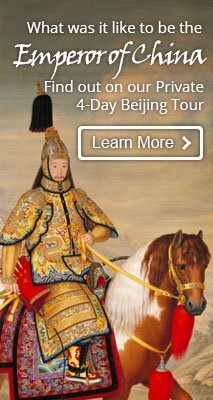 4-Day Beijing Family Tour — Similar to the above, but with kids in mind. The 4 Best Cities for Chinese New Year.